MAY 2015ValueNotes Healthcare Capsule - IndiaIndia’s healthcare sector is ridden with myriad problems. Statistics vary depending on the source. To quote a few - Spending on healthcare as a percentage of GDP was 3.8% in 2012, compared to 17% in... Read More. MARCH 2015ValueNotes Healthcare Capsule - IndiaEDITOR'S CHOICEUnion Budget 2015: India’s finance minister allocates INR 331.5 bln for healthcare sectorAccording to a CARE report, the healthcare sector seeks incentives to boost domestic innovation in medical equipment which could be in the... Read More. FEBRUARY 2015ValueNotes Healthcare Capsule - IndiaEDITOR'S CHOICEIndian healthcare delivery system needs investment of USD 245 bln in the next two decadesIndia will require 3 million doctors and 3.5 million hospital beds by 2034 to fight shortage of resources. India can... Read More. 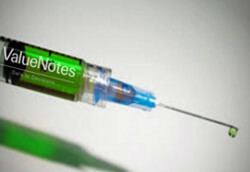 JANUARY 2015ValueNotes Healthcare Capsule - India EDITOR'S CHOICEIndian government approves key reforms in pharma sectorThe Indian government has approved promulgation of the ordinance to allow 100% FDI in the medical devices sector under the automatic route.The move will encourage FDI inflows... Read More. 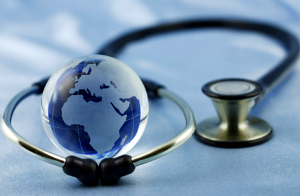 DECEMBER 2014ValueNotes Healthcare Capsule - IndiaEDITOR'S CHOICEIndia to issue immediate medical visas to patients from SAARC countriesMedical experts said that the new initiative will attract many more patients to the country, especially Chennai, and boost the healthcare industry. It will... Read More. NOVEMBER 2014ValueNotes Healthcare Capsule - IndiaEDITOR'S CHOICESir H N Reliance Foundation Hospital and Research Centre inaugurated in Mumbai, IndiaIt will have 348 beds and will be the first hospital to have tie-ups with John Hopkins, MD Anderson Cancer Centre, Massachusetts... Read More. OCTOBER 2014ValueNotes Healthcare Capsule - IndiaEDITOR'S CHOICESweden launches healthcare platform in India through the Swedish Life Science and Healthcare PlatformThe platform will have major Swedish healthcare firms like Molnlycke Health Care, Bactiguard and Hemocue on board, and will provide opportunities... Read More. SEPTEMBER 2014ValueNotes Healthcare Capsule - IndiaEDITOR'S CHOICEIndian healthcare sector is booming with corporate hospitals, says Siemens Healthcare-IndiaIndian healthcare services sector is booming with corporate hospitals expanding their network to tier II/III cities and the sector is also increasingly attracting venture... Read More. AUGUST 2014ValueNotes Healthcare Capsule - IndiaEDITOR'S CHOICEIndian government seeks private players to help rollout National Assurance MissionUnder this mission, public healthcare facilities will be assured of certain important facilities like x-rays. The government wants to involve private players to fill... Read More. 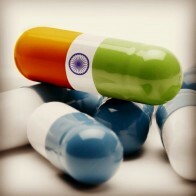 JULY 2014ValueNotes Healthcare Capsule - IndiaEDITOR'S CHOICEIndian government plans the largest health insurance scheme in the worldThe Indian government plans to transform the health sector through research, innovation and the latest technology. 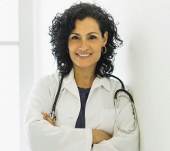 Preventive healthcare will play a major role in... Read More.